If there's an emergency, this police officer will be ready. 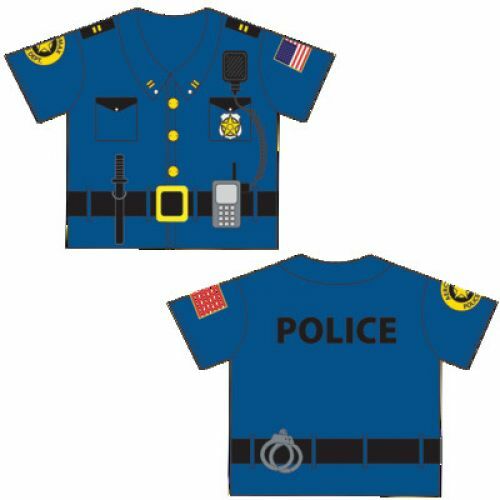 This easy on shirt is printed with all the things they'll need: Badge, arm patches and sergeant stripes. It's all in the details. Pocket on chest for personalization.